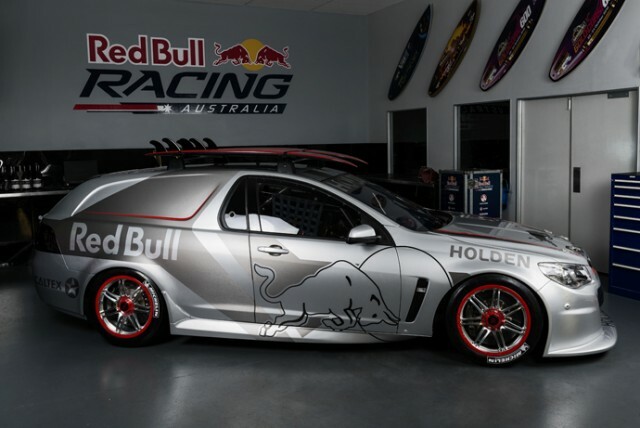 The chassis that helped Jamie Whincup to the 2013 V8 Supercars Championship title has reappeared at the Castrol Edge Gold Coast 600 as a ‘Sandman’. Triple Eight has converted the now deregistered chassis, 888-032, into a ‘panel van’ for ride and demonstration purposes, paying homage to the iconic Holden Sandmans of the 1970s. The engineering project was started in April and has been undertaken almost entirely within the V8 Supercars outfit’s Brisbane facility. Boasting a 5.0 litre V8 Supercars-spec engine, the Sandman features a fly-by-wire throttle system, working in conjunction with a paddle-shift gearbox. The team intends to soon install a bigger, 5.7 litre engine, which it says will take power out to over 700bhp. Whincup had used 888-032 across the first eight events of the 2013 season, taking eight race wins, including three at the Circuit of the Americas in Austin, Texas. The team elected to debut a new car for that year’s Sandown 500 after a persistent vibration marred a pre-event test. Triple Eight retains one spare chassis in-house after Craig Lowndes was moved to a new car ahead of Sandown this year. The Sandman will be on track for demonstrations at the Surfers Paradise event over the course of the weekend.